As part of our mission to showcase different points of view on Star Wars, Fangirls Going Rogue has committed to letting our listeners share their thoughts with fandom. 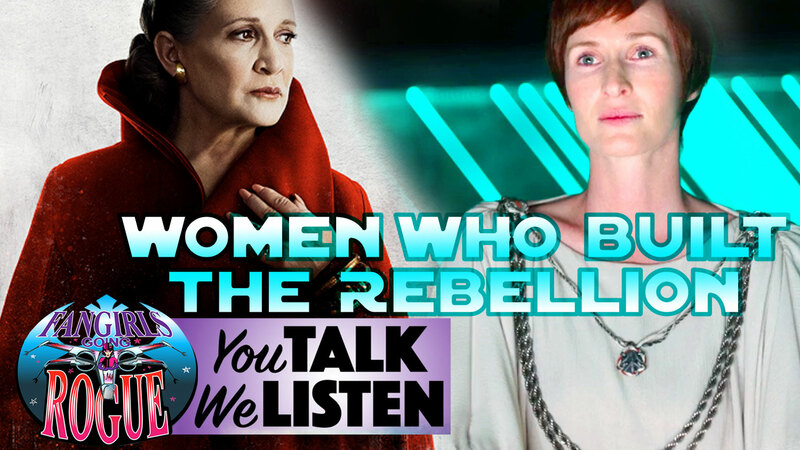 The second episode in our new series Fangirls Going Rogue Presents You Talk We Listen highlights women who have been part of Star Wars fandom since 1977, not as children but as professional women. In this episode recorded at GeekGirlCon 2017 Tricia Barr and Sarah Woloski interview Maggie Nowakowska and Tish Wells about early fandom, including “lunch with Larry [Kasdan]” and interviewing George Lucas. Although fandom discussions were often by letter, these women offer lessons learned that are timeless. As always reviews and rating are our life blood. Thanks for listening, and until next time: Yub yub!